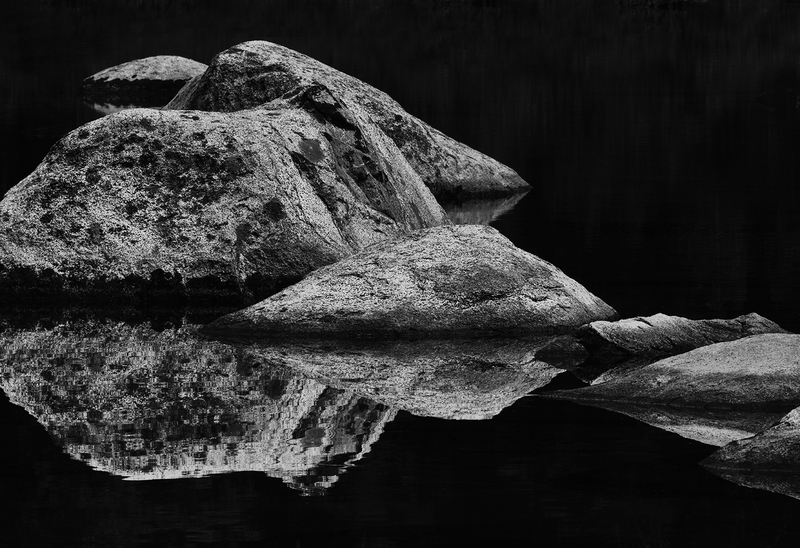 This grouping of granite stones was found in a small pond off the roadway of Tioga pass near Snow Creek. I had been to this pond several years earlier with John Sexton and Charles Cramer. I had always thought of this as a lake but it seems to have been overlooked and has no name on the local maps. Perhaps the lake should be called Reflection Lake.